I had a good time in your camp for the 2 days I stayed with my friends. Mr. Joseph was very helpful and showed good professional attitude. My friend and I did enjoy our stay in your camp. It was an amazing experience. The location, the tent and, overall, the perfect service and the kindness of all the people working there. I do hope to come back, but for a longer stay. 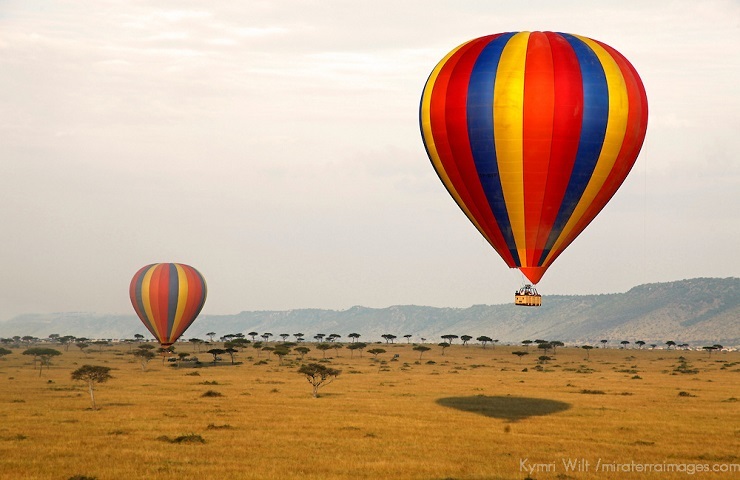 Enjoy the majestic glory of the Mara through the sky, while viewing the stunning African landscape and the wildlife. 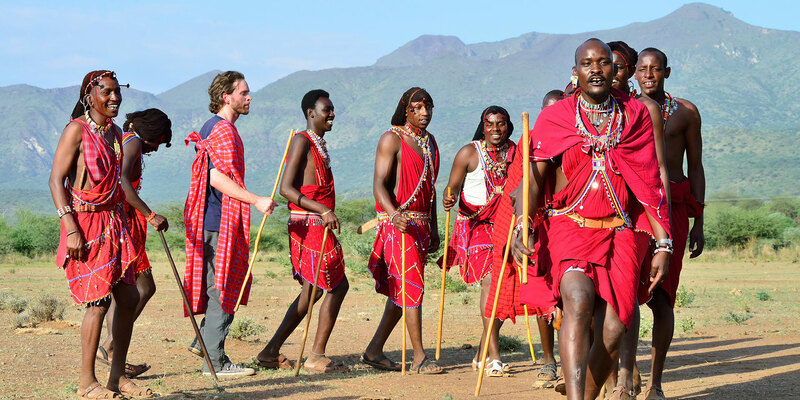 The Maasai Mara is characterized by sandy soil and bushes, the Siria Escarpment, lush grasslands and woodlands and open plains. 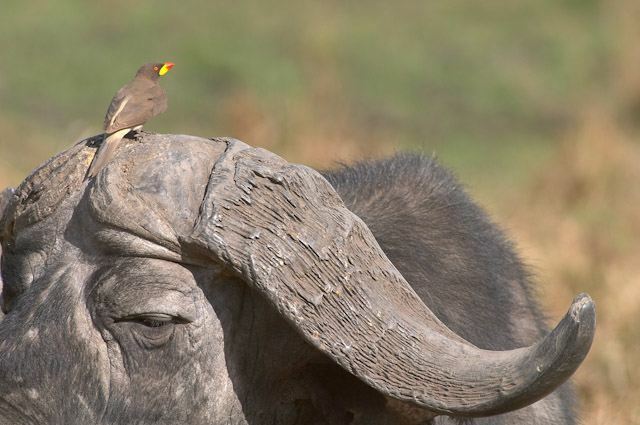 When visiting the Maasai Mara you are likely, to see the famous Big Five: Lion, Leopard, Elephant, Rhino and Buffalo. 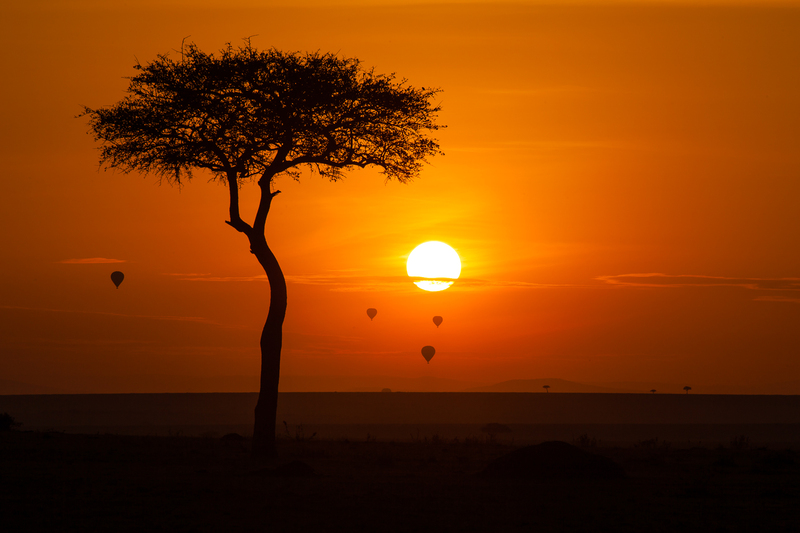 Maasai Mara is located 1,500-2,200m (4,900-7,100 ft) above sea level, which makes the climate slightly damper and milder than other similar regions. With only 7 exclusive tents, Hammerkop Migration is an intimate safari camp in the heart of the world-renowned Masai Mara National Reserve. Accessible only by air or 4×4, the camp is perfect for calm wildlife photography away from the congested areas of the park. Hammerkop Migration Camp enjoys a simply unique setting. 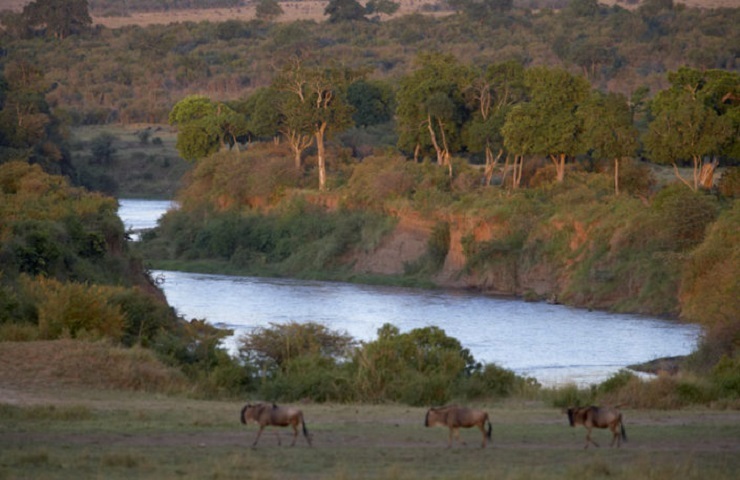 The safari camp is set on an oxbow of the legendary Mara river, surrounding it except for the short opening that acts as entry to the site. A wildlife enthusiasts’ dream, Hammerkop Migration is the only camp in the Masai Mara National Reserve not only almost completely surrounded by the river and numerous hippo pools, but is also the closest camp to a wildebeest crossing, a mere 200 meters from your tent. 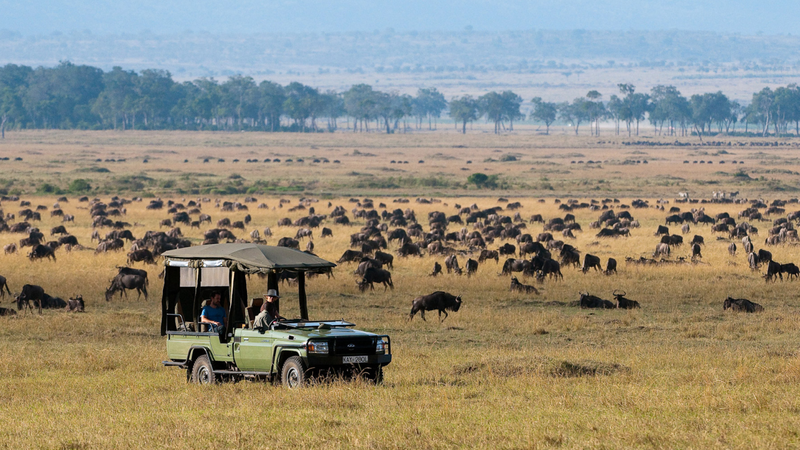 Hammerkop Migration Camp is located within the inner region of the Masai Mara National Reserve, on Paradise Plains, a few minutes’ drive from the Musiara Swamp area within easy reach of several wildebeest crossings on the Mara River. 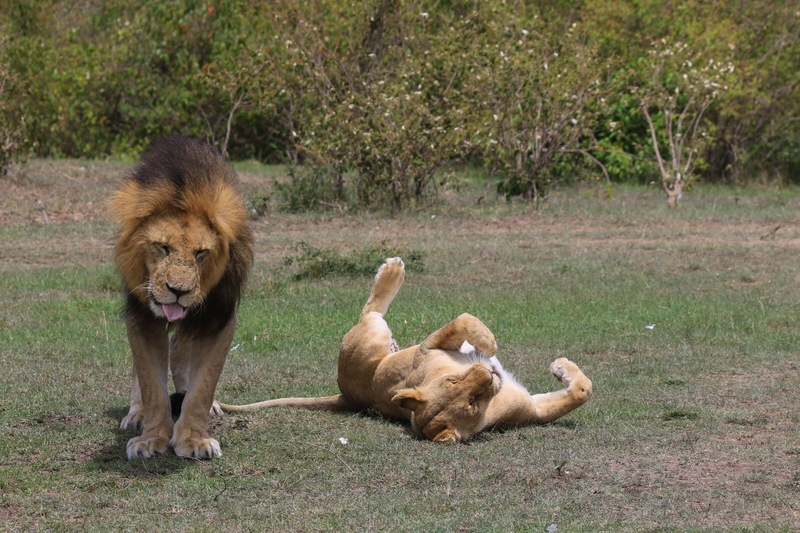 The area thrives with wildlife and birds, and your game drives commence immediately you leave the unfenced camp with barely any distance covered before reaching the prime wildlife viewing areas. The area itself is famous for leopards. The camp can be reached by road or flying into Musiara airstrip just under 15 minutes away and with daily scheduled flights from Samburu, Lamu, Malindi, Mombasa, Diani, and Wilson Airport, Nairobi. The flight time from Nairobi is about 45 minutes. Set under the shade of indigenous trees and bushes, the tented camp brings you closer to nature, with the peace and tranquility of its unique natural environment. 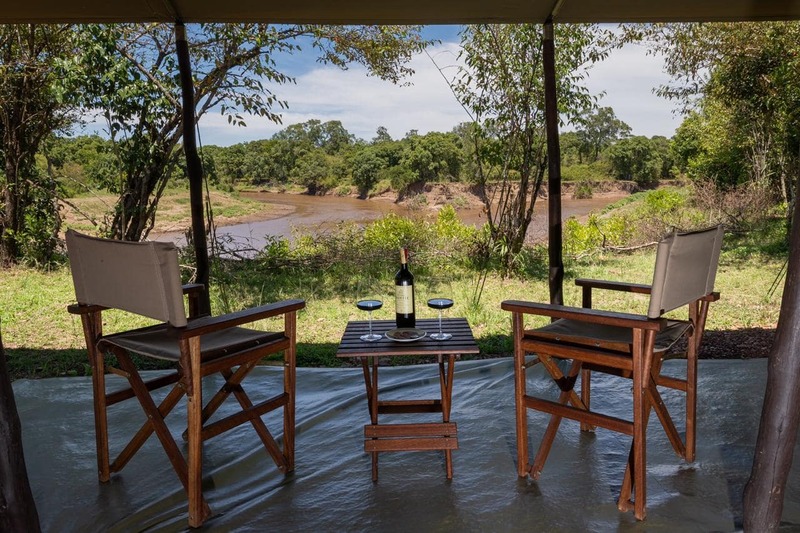 Hammerkop Migration Camp has 7 luxury en-suite canvas tents – including a family tent with private lounge –, all with memorable views of the Mara river and the prolific woodland and beaches on the opposite bank. Each of the exclusive guest tents has a separate bathroom providing a hot water shower, hand wash basins and flushing toilet. The distance between each tent has been considered to improve their privacy and views over the Mara river and the distant Soit Oloololo escarpment. The camp offers a true bush experience with a very private atmosphere and personalized service with staff always on hand to make your stay as comfortable as possible. Meals are served in the lounge tent, and on occasion are interrupted by a herd of elephants walking past. 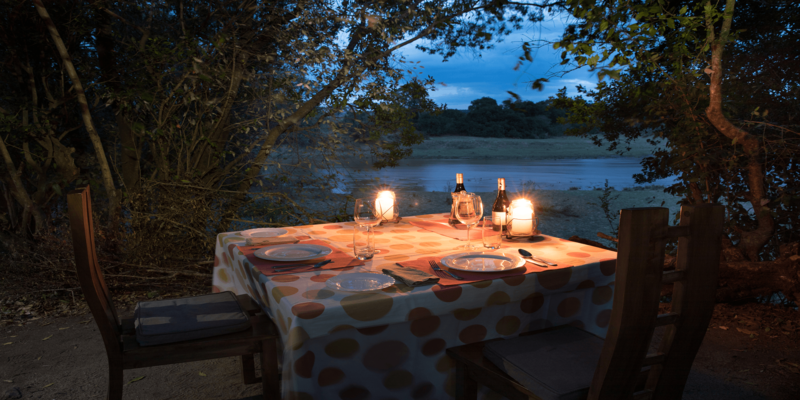 Dinner is at its best under the African sky’s blanket of stars. Thinking of an Easter getaway? Consider this 2 NIGHTS PACKAGE.